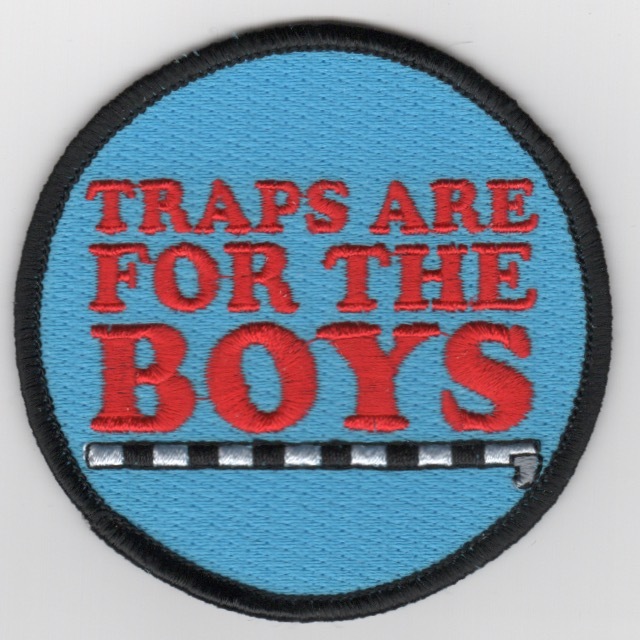 This is the US Navy's "TRAPS ARE FOR THE BOYS" patch. Not sure of the story behind it. If you know, shout at me. No velcro attached. This is the 3.5-in wide version of the patch worn on the left shoulder of the Hornet pilots that have accrued 1000 flight hours or more in the F/A-18. It does NOT come with velcro. 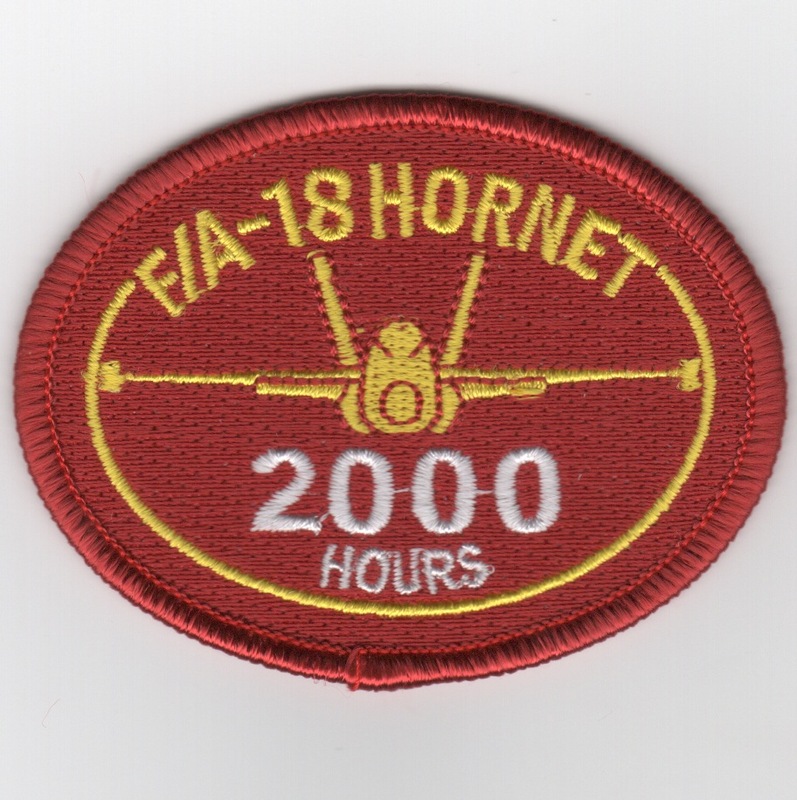 This is the 3.5-in wide version of the patch worn on the left shoulder of the Hornet pilots that have accrued 2000 flight hours or more in the F/A-18. It does NOT come with velcro. 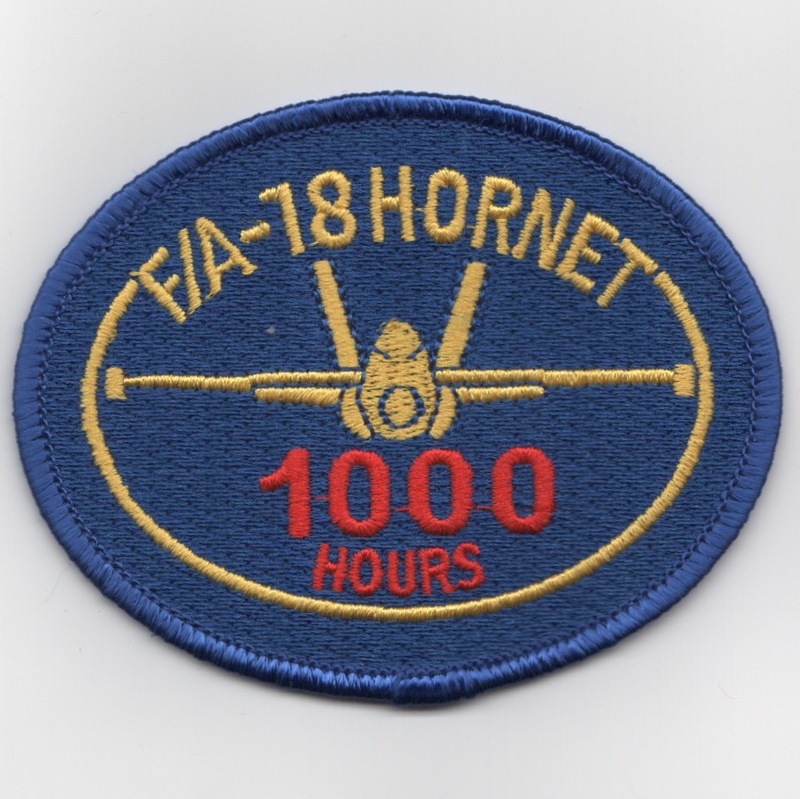 This is the 3-in wide version of the patch worn on the left shoulder of the Hornet pilots that have accrued 1000 flight hours or more in the F/A-18. It's a little smaller than the "historical" HOURS patch and does NOT come with velcro. 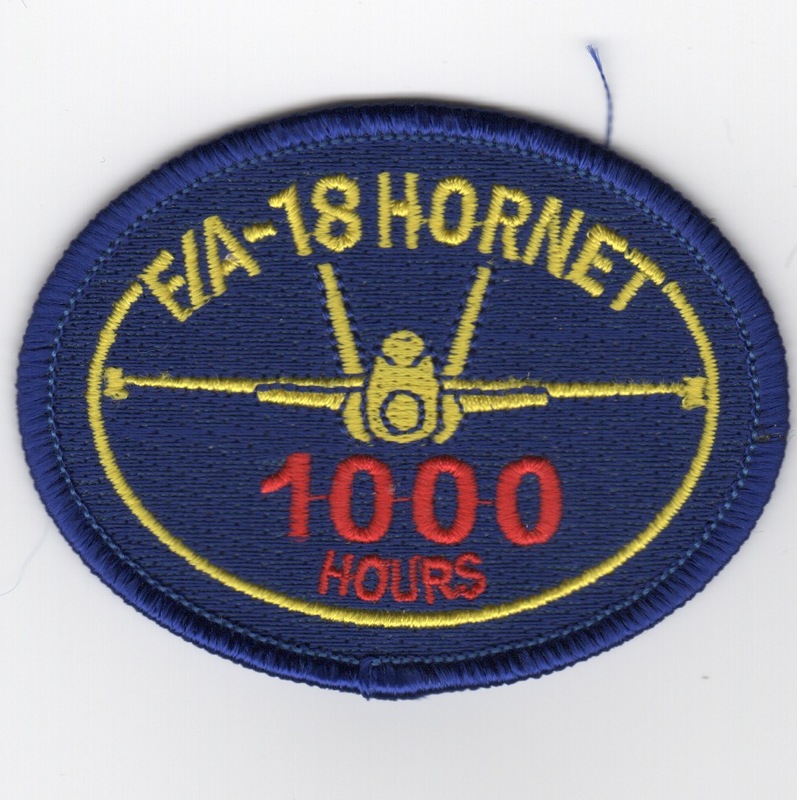 This is the 3-in wide version of the patch worn on the left shoulder of the Hornet pilots that have accrued 1000 flight hours or more in the F/A-18. It's a little smaller than the "historical" HOURS patch and DOES come with velcro. 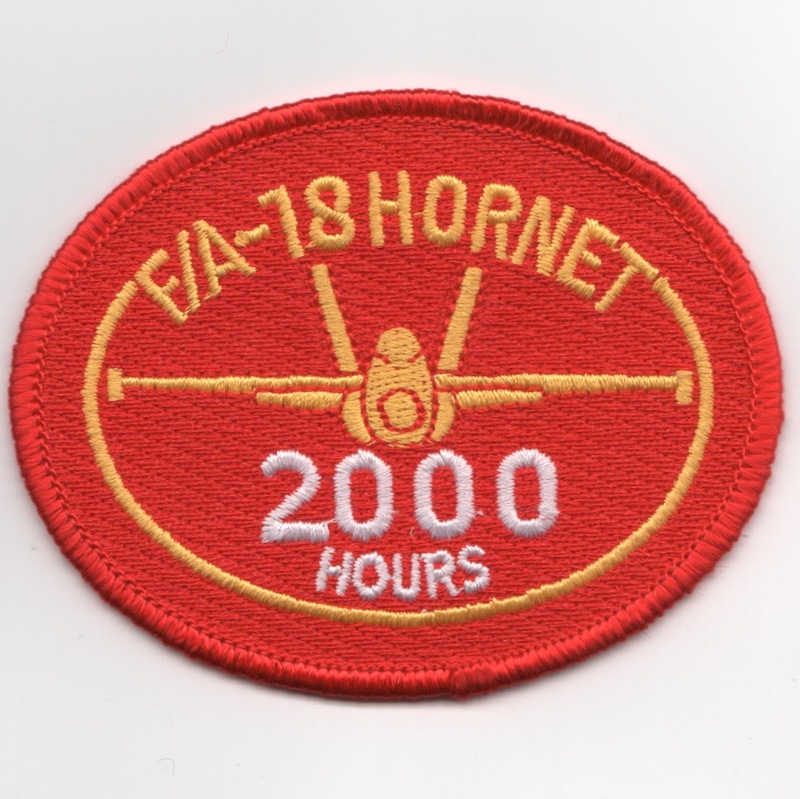 This is the 3-in wide version of the patch worn on the left shoulder of the Hornet pilots that have accrued 2000 flight hours or more in the F/A-18. It's a little smaller than the "historical" HOURS patch and does NOT come with velcro. This is the 3-in wide version of the patch worn on the left shoulder of the Hornet pilots that have accrued 2000 flight hours or more in the F/A-18. It's a little smaller than the "historical" HOURS patch and DOES come with velcro. 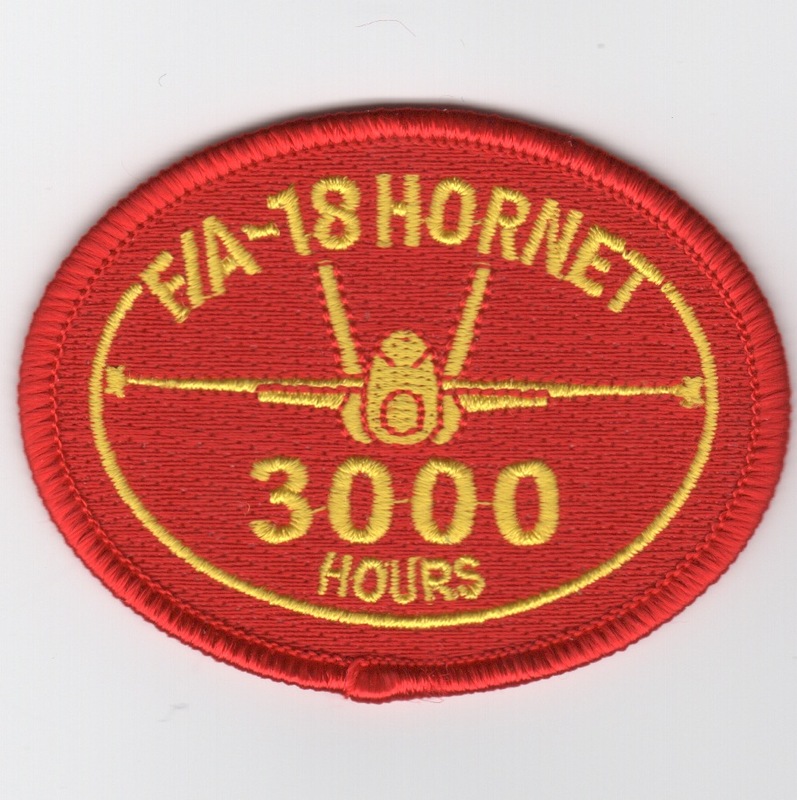 This is the 3-in wide version of the patch worn on the left shoulder of the Hornet pilots that have accrued 3000 flight hours or more in the F/A-18. It's a little smaller than the "historical" HOURS patch and does NOT come with velcro. This is the 3-in wide version of the patch worn on the left shoulder of the Hornet pilots that have accrued 3000 flight hours or more in the F/A-18. It's a little smaller than the "historical" HOURS patch and DOES come with velcro. This is the 3-in wide version of the patch worn on the left shoulder of the Hornet pilots that have accrued 4000 flight hours or more in the F/A-18. It's a little smaller than the "historical" HOURS patch and does NOT come with velcro. This is the 3-in wide version of the patch worn on the left shoulder of the Hornet pilots that have accrued 4000 flight hours or more in the F/A-18. It's a little smaller than the "historical" HOURS patch and DOES come with velcro. 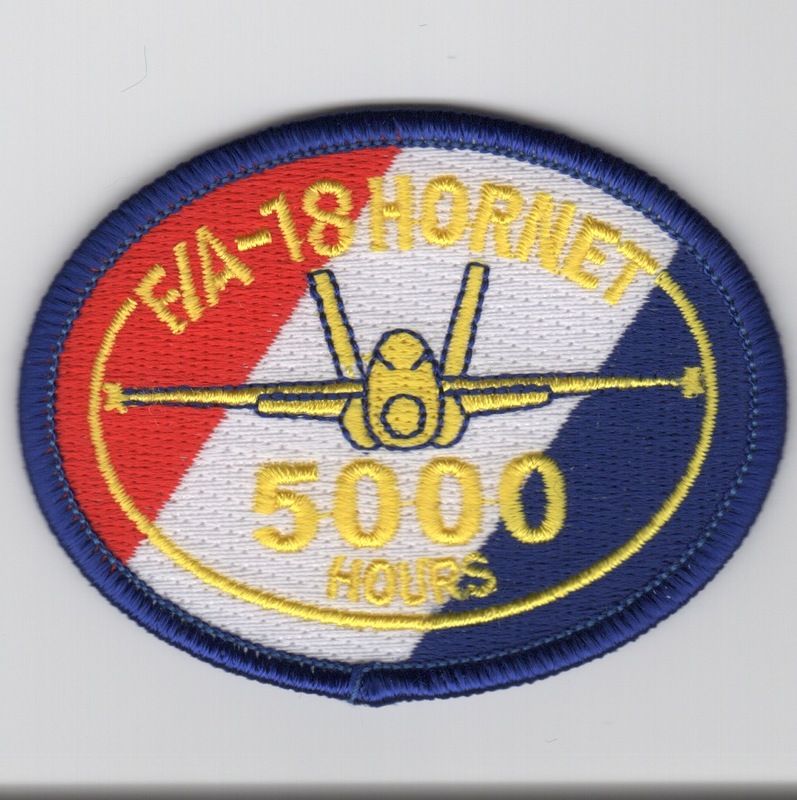 This is the 3-in wide version of the patch worn on the left shoulder of the Hornet pilots that have accrued 5000 flight hours or more in the F/A-18. It's a little smaller than the "historical" HOURS patch and does NOT come with velcro. 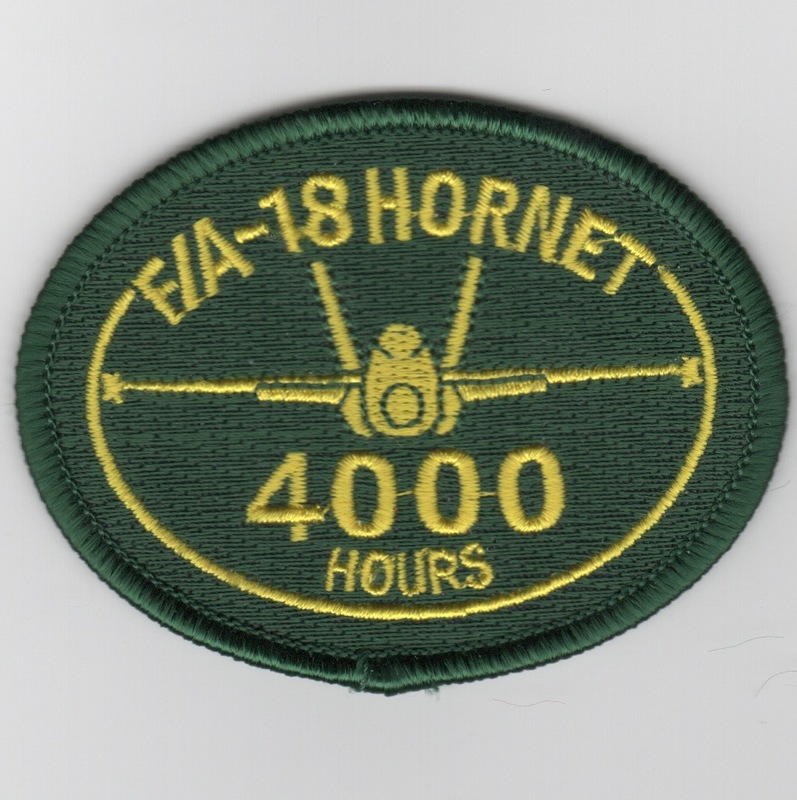 This is the 3-in wide version of the patch worn on the left shoulder of the Hornet pilots that have accrued 5000 flight hours or more in the F/A-18. It's a little smaller than the "historical" HOURS patch and DOES come with velcro.